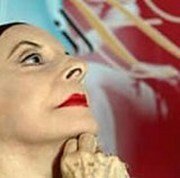 The 2010 Second Caribbean Dance Biennale, expected to take place in Cuba at the end of March, will pay tribute to the prima ballerina assoluta Alicia Alonso. According to the organizers, the event will include the presence of guests from 18 countries and it will hold the Teatro Mella, Llauradó Room and the Bertolt Brech Cultural Complex as its main venues. Las Carolinas, the Higher Art Institute, the Cuban National Folk Band, Cuban Contemporary Dance and ALBA Casa, will also be used as smaller seats. The program includes the presentation of work such as Non, by the Cuban Lisbet Sad, from the Ballet Rakatán, Oroyo So, by Julie Adami from Guyana, Malson, from the Cuban company Danza Abierta and Ecume by the Articidence Company from Martinica. Recently, Alonso received in Mexico the Gold Medal for the Distinguished Visitor, handed in by the major of the city of Merida, César Bojórquez.